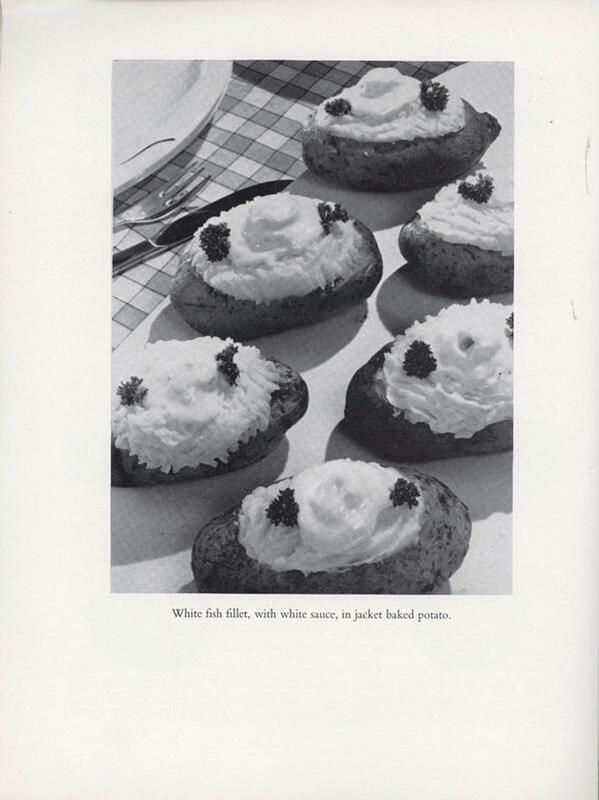 This book is full of mostly traditional recipes. I didn’t see anything particularly interesting or questionable. I did pause for a moment at the white fish fillet jammed into a baked potato. I wasn’t sure that combination would work and the photo does not help. 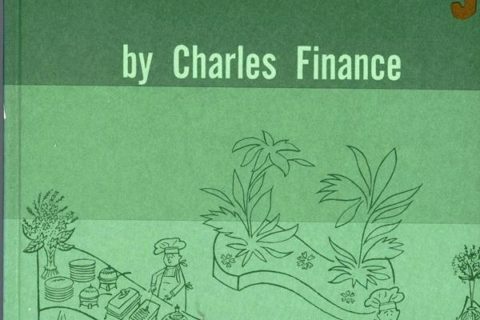 Since this book is geared toward professional cooks and catering, there is very little for the amateur. I am not sure this book will help anyone trying to be efficient and serve potatoes. 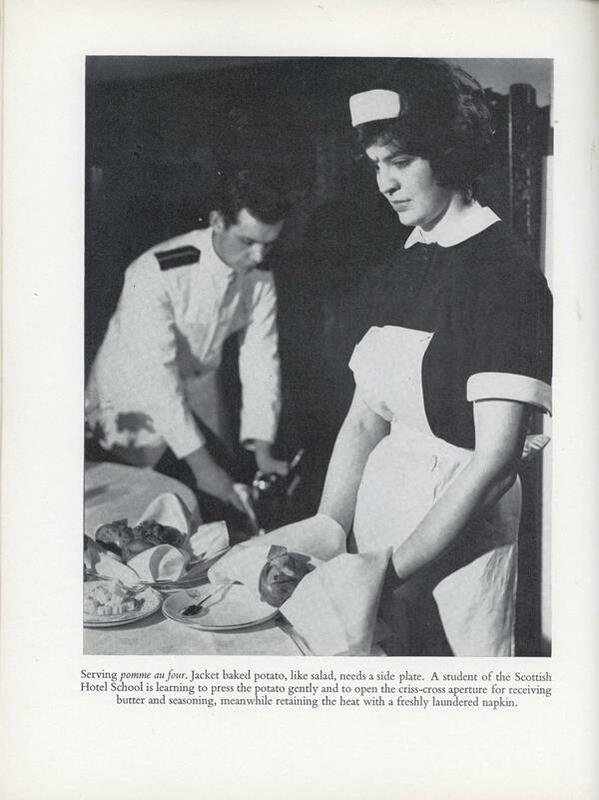 The chef doesn’t appear to be enjoying the potato either. Also, is it important that he wear his medals while he is cooking? 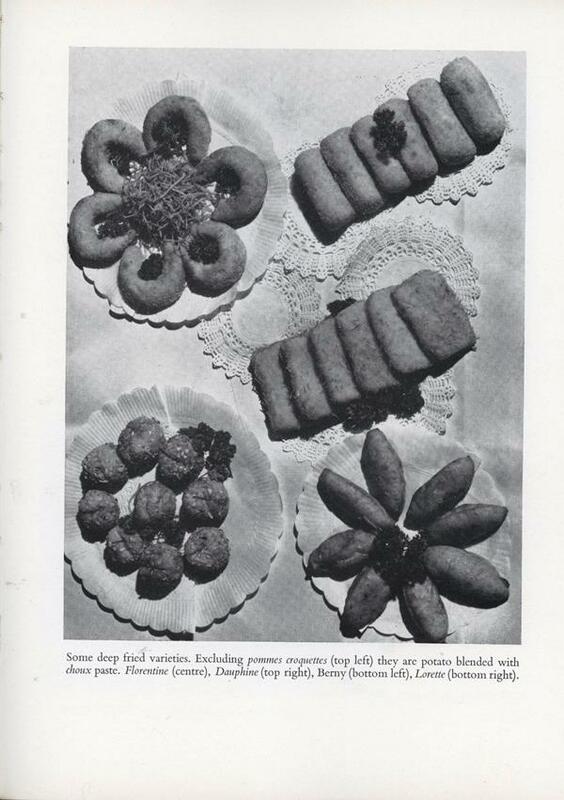 Isn’t it amazing how unappetizing black and white food photographs can be? I tried making the fish fillet in baked potato thing using a recipe from a different book. 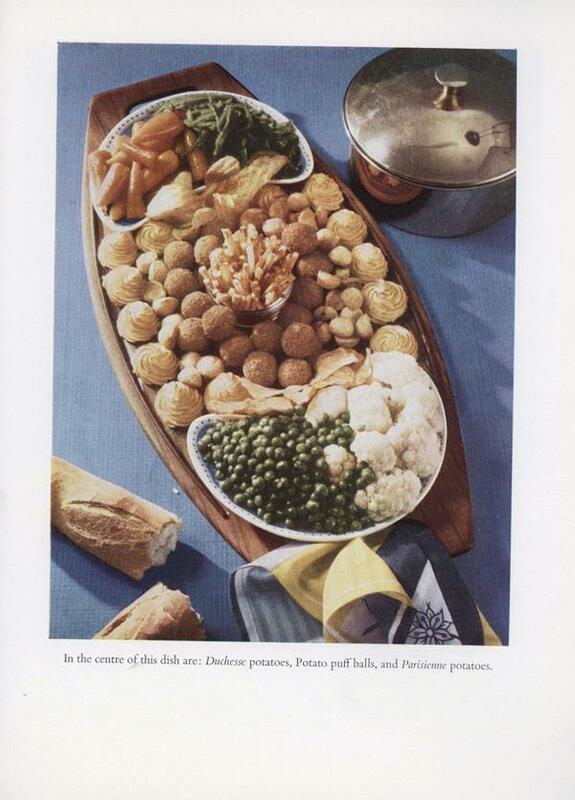 First you have to bake the potato, scoop it out, put in the fish and cook it again. An awful lot of work for what amounts to a plain fish and starch dinner. I’m an absolute disaster at scooping out potatoes. I usually chop them up and mix them instead. 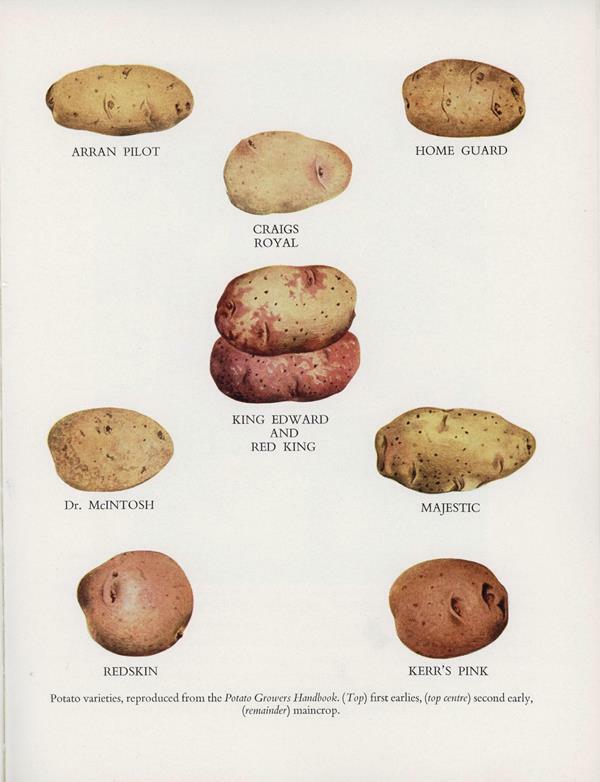 British potatoes are apparently not very attractive. Not on their own, and not in these preparations! That last page makes me want to give that poor student a hug and a cookie, and send her out into the sunshine for a nice walk, because, DUDE, it’s just a potato. Not endangered at all. Quite common, though, in Scotland and Ireland, but not in North America. There are been terrible books a’plenty on this web site (and thank you!) but this one takes the cake … er, potato. From the title on down, it looks designed to be a parody of the sort of thing one finds here–I can hardly believe this is real. It’s not the dullest book ever–it has illustrations, even if they are of potatoes–but yeesh, this is some sad, grey stuff. 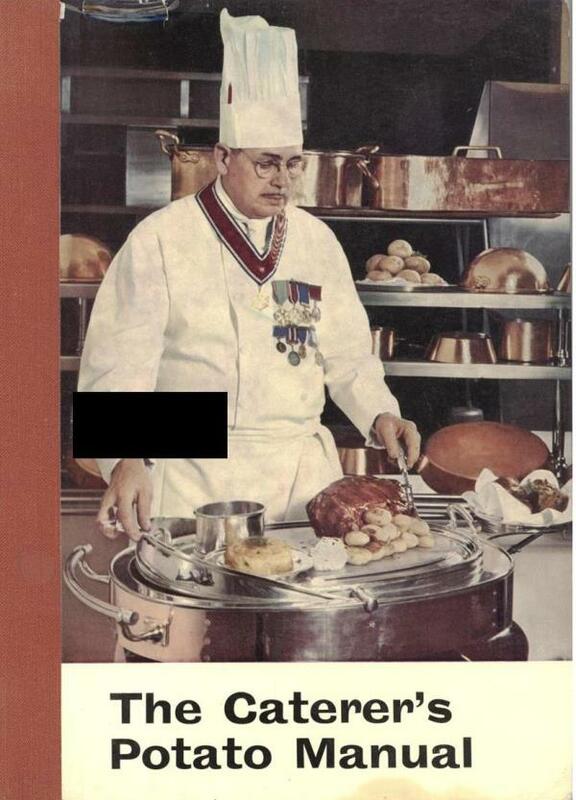 At least the caterer is apparently a war hero of sorts. 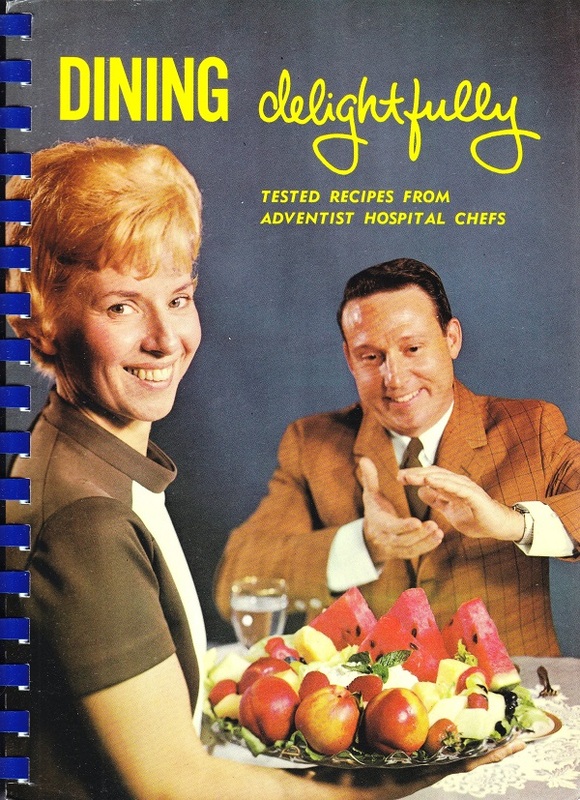 I’m only disappointed that since this isn’t for the home chef, the recipes aren’t more terrifying and don’t feature more bizarre, inappropriate, and/or canned ingredients. Someone send it to James Lileks, quick! I think he’s at a cart/trolley and will be carving in front of customers, so he wants to show off his bling! Isn’t the point of professional chef dress to make it easy to tell if they are not clean? Those highly intricate castings are impossible to clean, but I will admit I have never even thought of combining the two. 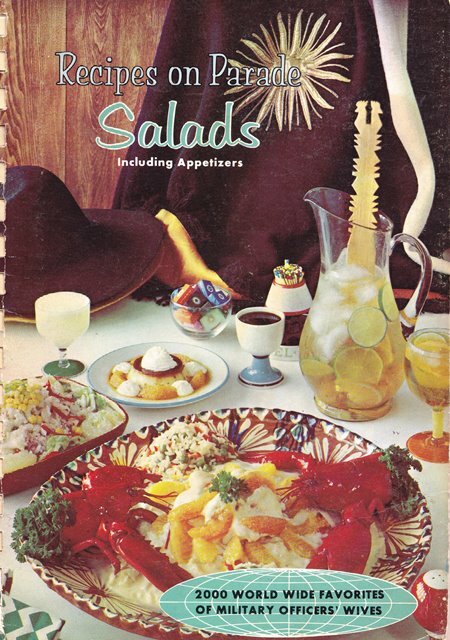 That potato salad garnished with pineapple rings, pimentos, olives, and cucumbers belongs on the Regrettable Food blog. Also, the chef in the last photo looks like a pissed-off Tim Curry from Rocky Horror. 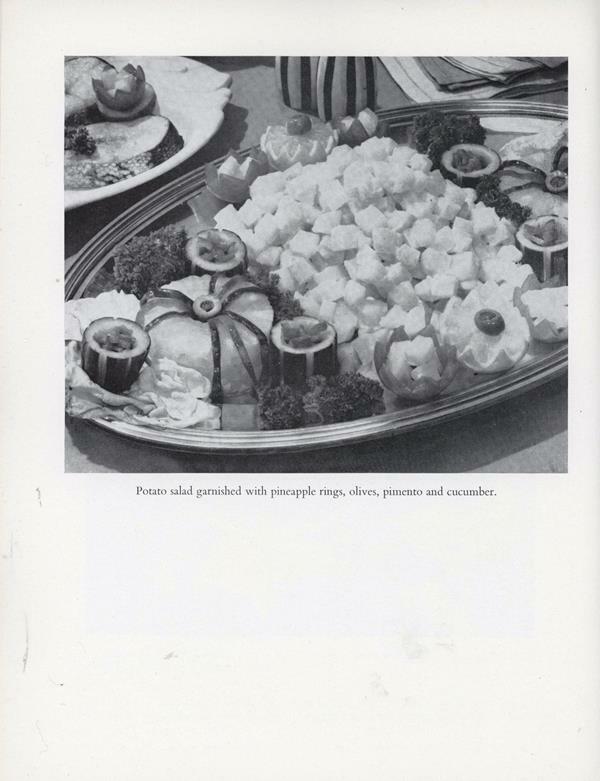 I think the potato salad “garnished” with pineapple rings, olives, pimento and cucumber actually looks *better* in black and white than it would in color — especially 1963 color. I’m counting at least three shades of green — no, four, forgot the olives — and two of red, assuming that the little cups holding more potato on either side of what I think is a fancy lemon half are actually red bell peppers. Otherwise, I don’t know what they are. And what color are those spider-leggy things draped over the pineapple? UNdoubtedly the “Home Guard”sman in the upper right there. 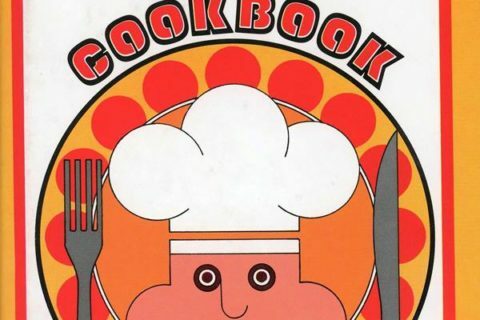 I have read there are a bunch of exotic South American potatoes that this book misses. That last picture is rather menacing, like it’s from a murder mystery play.